I had too much fun with my last Presidential Prediction Post, here comes another one! A Chinese monkey described as the “king of prophets” has tipped Donald Trump for the US presidency, a tourism park said, after the creature successfully predicted the winner of football’s European Championship final earlier this year. Known as Geda — which means knots or goose bumps — the prophetic primate is the latest in a series of purportedly psychic animals that have popped up around the world since Paul the Octopus correctly predicted multiple 2010 World Cup matches. After “deliberate thought” the mystic monkey chose Trump, Shiyanhu Ecological Tourism Park said Thursday in a statement on its website. Without even waiting, he congratulated the cardboard candidate with a kiss on the lips. Seems as good a method as any. So let me go reaching out to find new indicators. I already noted the monkey’s choice. Because of the likelihood that Democratic gains in the Senate would also give the states to Clinton, the likelihood of Trump winning and then facing a divided Congress are negligible. Other scenarios are currently forecasted as being similarly improbable. Hmmmm, I guess we’ll see. Well, they’re “wacky” in terms of elections. They seem rather boring, in general. Who wins the cookie recipe vote? Eh. I guess. Wacky! Based solely on their interpretation of celestial indications, the astrologers one-by-one aligned against the GOP nominee. Little hope was offered for Mr. Trump’s chances. ISAR President Ray Merriman says this is not the first time astrologers have weighed in on an American election. At other astrological events organized during election years astrologers unanimously predicted Barack Obama would emerge as the winner in 2008 and again in 2012. And an amusing part of the astrologer story: astrologers want the long form birth certificate….so they know the time of birth. The issue is of such importance that Ackerman, who once obtained Bill Clinton’s birth time from his mother, created a petition that would mandate congressional candidates to release long-form birth records. Christeen Skinner, a panelist from London, said Clinton will win the election, but may not make it to her inauguration due to highly publicized health concerns. 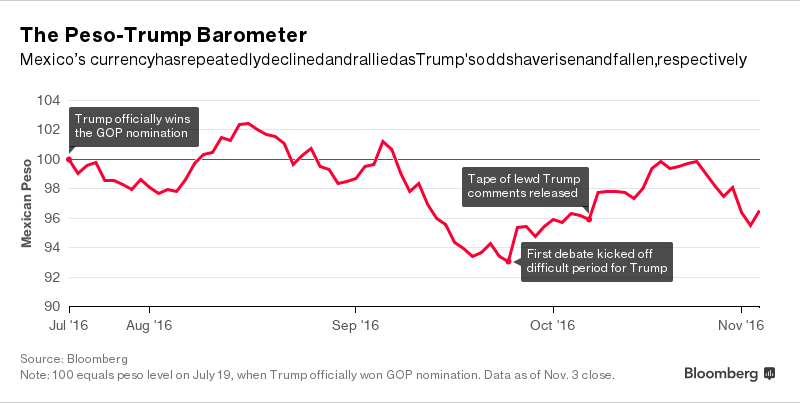 Last month, the man who’s tried to turn vote prediction into a science predicted a Trump win. THE FIX: The first time we talked, you weren’t willing to predict a winner. Take me through that process and how you came to predict a Trump win. LICHTMAN: Early on, the keys were inconclusive. That is, remember, six or more and the party in power is the predicted loser. And for some time, there were five keys out against the incumbent Democrats. So there you have it. Trump will win unless Clinton does. Of course, if Evan McMullin wins….